in 2017, True North leaders came out in strong support of California Senate Bill 54 (SB 54), also known as The California Values Act. SB 54 protects the safety and well-being of all Californians by ensuring that state and local resources are not used to fuel mass deportations, separate families, or divide Californians on the basis of race, gender, sexual orientation, religion, immigration status, or national or ethnic origins. SB 54 upholds California’s core values of equal treatment, community, family unity, and common humanity by ensuring that California’s police departments, schools, hospitals, and courts remain accessible to Californians from all walks of life. Immigrants are part of California’s heart and soul and have deep roots in its neighborhoods and communities. In a time of rising national division and scapegoating of immigrant communities, the California Values Act reaffirmed the state’s commitment to valuing and protecting its immigrant communities and sent a powerful message of inclusion across the nation. We're with the harmful effects of entangling local law enforcement agencies with immigration enforcement. Prior to its termination, the discredited “Secure Communities” program (S-Comm) operated in California as an indiscriminate mass deportation program at great cost to California both financially and otherwise. According to a report prepared by Justice Strategies in 2012, S-Comm California taxpayers spent an estimated $65 million annually to detain people for ICE. Continuing to tangle state and local public safety resources with the dirty business of deportations threatens the civil rights and safety of all who reside in California. Such actions foster racial profiling, police mistreatment, and wrongful arrests, which further undermine trust between local communities and law enforcement. 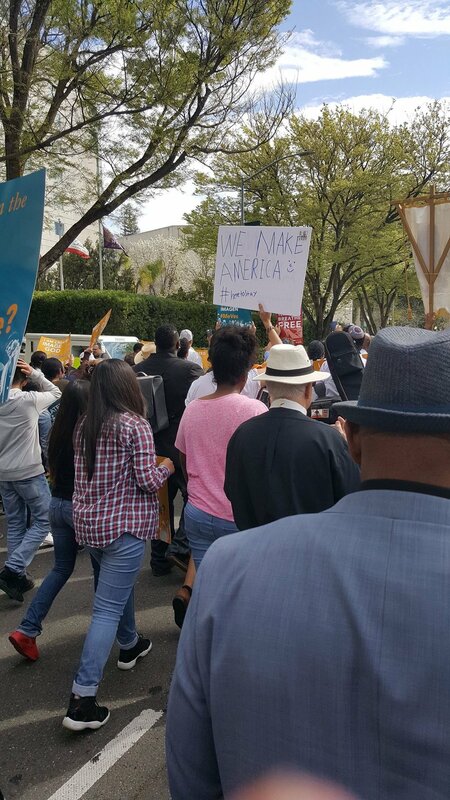 On March 15th, 2017, True North Leaders from Del Norte, Eastern Humboldt and Coastal Humboldt traveled down to the State Capitol in Sacramento to come together with PICO California in support of our shared values. A total of twelve hours on the road in one day was worth it to show our commitment to keeping families together and supporting our immigrant communities. On October 5th, 2017, SB 54 was passed and signed into California State Law by Governor Jerry Brown.